The Record Studio began offering private piano instruction in 1992. Since then, Kaarin Record Leach has been guiding emerging pianists in the art of creative and elegant musical expression combined with proven pedagogical techniques. 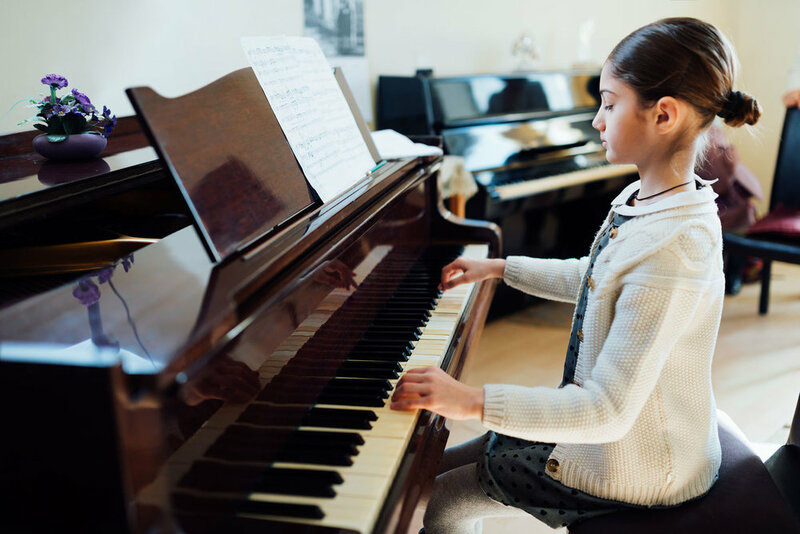 Her most recent work as a private piano teacher at the Westminster Conservatory of Music in Princeton, NJ has taken her method of instruction to the next level by incorporating historically informed performance practice into the studio's presentations. Pianists in the studio have been participating in formal recitals, adjudications, competitions, theory tests, and community service events, with many of them going on to major in music and performance at the collegiate level. Acceptance into the studio requires an audition. While the majority of students in the studio perform at the advanced level, there is occasional availability for intermediate and beginning students. Lessons are offered in either 45 or 60 minute increments. A unique feature of The Record Studio is that students who show an exceptional ability for collaborative piano have the opportunity to focus on acquiring real-world accompanying skills through playing for solo singers and choirs in the Charlotte area. Email KRL@TheRecordStudio.com for lesson and audition information.